Education is an important privilege that many Americans believe is a right given to them. This isn’t the case, Americans are lucky enough to have this available and accessible but many other countries don’t have that. In other countries, people would actually die to get a proper education. Millions of students risk their lives just to attend school. This seems pretty unfathomable for us since it’s never been anything we’ve had to personally fight for. On the other hand, these many leaders are to be credited for their academic achievements. 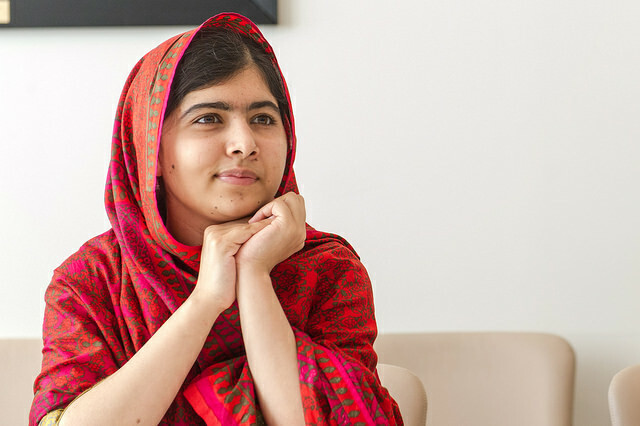 One leader to be highlighted is Malala Yousafzai. “Education is neither eastern nor western. Education is education and it’s the right for every human being.” Malala may only be 17 but she’s accomplished so much and used her voice for the greater good. She was shot in the head when she was only 15 years old by the Taliban. They targeted her due to the impact she’s had on girls attending schools in her village. Her dad started the school and Malala had become a voice heard around the world due to her speaking out in BBC journal entries and giving speeches. This girl is someone we can all learn something from. The major lesson is to stand out and speak up about what you believe in. If you believe there’s some kind of injustice in the world, do something about it. The attitude that you’re just one person that couldn’t possibly make any kind of a difference is completely false. We can all use our voice to change the world. Age is something that doesn’t matter. If you’re passionate about it, then make it happen. Fight for what you believe in because you never know what will come out of it. Malala is making a world of difference in the life of girls around the world by speaking up and not letting anyone tell her that her voice doesn’t matter. 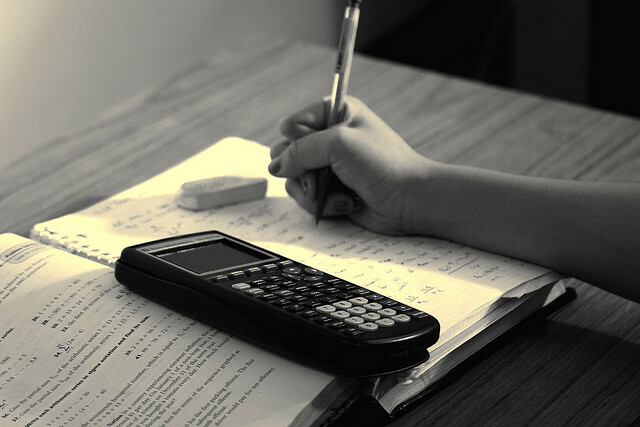 These are some of my own education tips that I will highlight from time to time on my blog. This first one is going to be about studying. When you’re reading a textbook, don’t just go highlight crazy. Interact with the text and ask questions within the margins or on a separate piece of paper. I’m sure you’ve been told these tips before but I’ve found that it can really work. It’s important to study with no distractions. Having electronics near you during that set study time is a major distraction. Make sure to put them in a different room or in a place where you refrain from touching them for an hour or so while you take time to study. Having a quiet place to study is definitely one of the big keys to having an opportunity to actually get things done. Having a place where you can just completely focus on what you’re doing and not worry about any noise or interruptions is really important. Sometimes when you take notes during class, they can get a little bit sloppy. You just try to write down as much as what the professor says as possible so your notes may not end up to be all that organized. Once your on your own and studying in your quiet space, make sure you go back and organize what you can. Use whatever works for you but I think it’s a good idea to dedicate one section such as key terms will be highlighted blue, important statistics and facts in green, and anything else you need to know in pink. Scheduling it out is extremely significant. If you schedule it, you will be more likely to stick to it. If you just sometimes take an hour or two here and there, it becomes scattered and not set. Once that happens, you don’t have a consistent routine. Just make it much easier on yourself by taking out your calender and marking what times you have free and take it week by week. Here are five tips that I hope you find kind of useful. You may know most of these, but hopefully this helps you see the importance of it all! 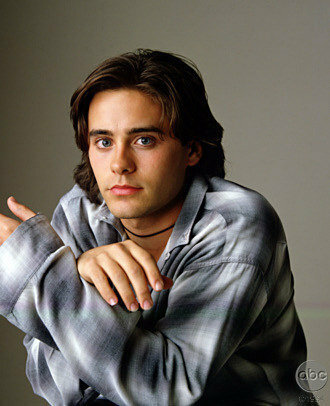 Jordan Catalano from My So-Called Life was a total dreamboat. Yes, he had the looks part down but there wasn’t all that much depth too him. Jordan wasn’t exactly the sharpest crayon in the crayon box. I always felt sorry for Brian but I always wanted Angela to end up with Jordan simply because Brian got on my nerves. You got to admit, annoying or not, Brian certainly treated her with a hell a lot more respect than Jordan ever did. The majority of Jordan’s appeal comes from his looks so I’m not even going to try to deny it. He has learning problems which set him back and frustrate him. He doesn’t want people to think he’s stupid but he doesn’t try to stop them. Instead, he basically just struggles in silence. He’s lucky to have Brian help him out with his schoolwork and with getting Angela back even though he’s not appreciative of that at all. The reason why it really doesn’t matter that Jordan is so well liked because of his looks is because that’s what a lot of teen girls like. Our first crush may not be on the most intellectual guy. I can’t speak on behalf of all girls but this is what I’ve personally found in my own life and in those closest to me. We’re drawn to the popular angsty teen guy because that’s part of who we want to be. We may be a really good girl who’s never done anything dangerous in her whole life but we don’t let that side show. We dream of rebelling with the hot James Dean type. He rebels against his surroundings and that draws the girl in. Angela maintains her fascination with Jordan throughout the entire first and only season. This is more than just a crush for Angela – Jordan is everything to her. Is this the right decision? Well, it is to Angela and that’s all that really matters at the end of the day since she’s the one forced to live with her choices. Jordan screws up big time – he sleeps with Angela’s best friend. He does this mostly due to the fact that Angela won’t put out and her friend does after the both had been drinking a lot. Setting the plots and storylines and aside and looking at strictly the facts, Jordan is screwed up. And Angela is okay with that and so therefore we’re okay with that too.